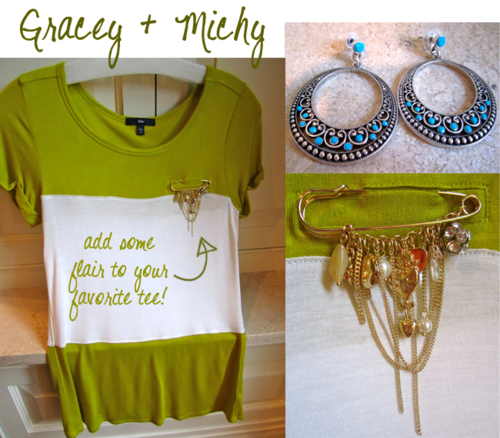 My dear friends over at jewelry boutique Gracey and Michy sent a little gift this week! Specializing in vintage and carefully selected pieces by indie designers, Gracey and Michy has a great selection to choose from, and at prices anyone would smile at. Check out their website here! TIP – pair this pin with a cute t-shirt (ours is from GAP) for added glam to an everyday look. No need to buy an expensive adorned shirt, when you can just adorn the shirts you already own with this beauty!